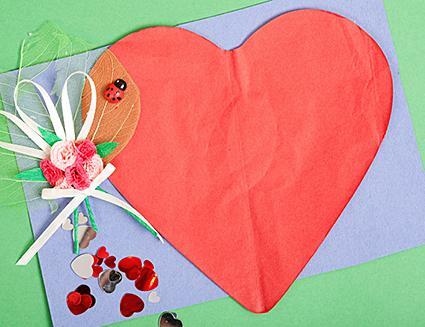 Creating a homemade gift for your boyfriend does not require any special skills or substantial amounts of creativity. Making things by hand that demonstrate how much he means to you can help you say what words cannot. Whether you focus on a special occasion the two of you shared, or just create something uniquely for him, he'll get the message loud and clear with any of these creative homemade gifts. If you're a crafter, these gifts will help you exercise a little creativity and show your flair for all things crafty. Most of these gifts do not require advanced crafting skills, so anyone can complete them. Chronicle your love for your special guy by scrapbooking your relationship. Decorate each page with pictures, stickers, ticket stubs, and maps of your favorite destinations together. You can also journal each page with how you felt at certain points in your relationship. Leave several pages blank for future events and activities. Purchase a plain memory box from a craft store; a shoebox would also work. Use your creativity to decorate the box, including stickers, scrapbooking die cuts, or even decoupage. On the outside, write a love poem or quotes, or paste on your favorite picture of the both of you. Inside, place mementos of your time together such as pictures or ticket stubs. He can add new items to the box in the future. Take your favorite pictures as a couple, and create a collage on heavy cardstock paper. Frame your collage, or add a cardboard backing and picture hanger. This gift will remind him of the good times you have spent together. Don't have a crafty bone in your body? That's okay, these gifts just require a little creativity and a romantic soul. Combine several packs of Post-It notes together to make a tall stack. On the first page, write instructions for him to peel one Post-It off each day. On each page after that, write a memory, love quote, poem, or even a short, 'I Love You.' Post-It notes make the process of creating this gift easier as the sheets stick together easily, but you could also make a desk calendar with note cards or smaller pieces of paper. It's easy to make a movie for someone you love, and this can be done at minimal cost. Sites that offer video services include Animoto and Masher. On these sites, you can upload your own videos and pictures, and download your favorite music to create a slideshow or mashup of your favorite memories. Tools you will need include a computer, Internet access, digital pictures and downloaded music. These sites are very self-explanatory, and walk you through the process of making a movie one step at a time. Put together a thoughtful playlist of love songs that will remind him of time you spent together and places you have been. If you use iTunes, you'll be able to add pictures to your playlists. Once a playlist is put together, you need to borrow or sneak his iPod or other music player away from him and download it. If he uses an iPhone and you cannot steal it away, you can make him a homemade certificate for the download, and do it at a later time. Make a copy of your favorite picture of you two. Purchase a frame, keeping in mind his personality. Simple wood or silver frames are often the best choice for men. Frame the picture, and wrap the gift in sturdy paper so the glass does not shatter. Treasure hunts are fun and creative, and you can make them as big or small as you like. Start by hiding small treasures around your home or town. The treasures should be something meaningful to you as a couple, such as a favorite picture placed at the spot you met, or a CD of a concert at the venue where you saw it. Make sure to notify workers in the area if you venture beyond your home, so the treasure is not thrown away. Each spot should have a clue to the next spot, and you can include a map as well. The final treasure should be you! A romantic evening is a wonderful way to reconnect with your boyfriend. You can make (or order in) his favorite meal, light some candles, turn on some relaxing music, and meet him at the door with a smile. You can also turn your bathroom into a spa, with scented candles and a bubble bath. Making a gift for your boyfriend is a loving and thoughtful gesture that shows him how much he means to you. Keep in mind, you can also buy him the latest gadget or other gift that he wants, and combine that with a homemade gift that you created yourself. He will appreciate the effort and wonderful memories that your gift brings.